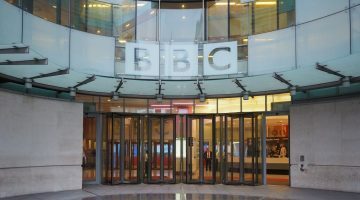 Staff of a UK pharmacy have left their franchise head office in no doubt as to their opinions of their leadership, and are facing an investigation in return. 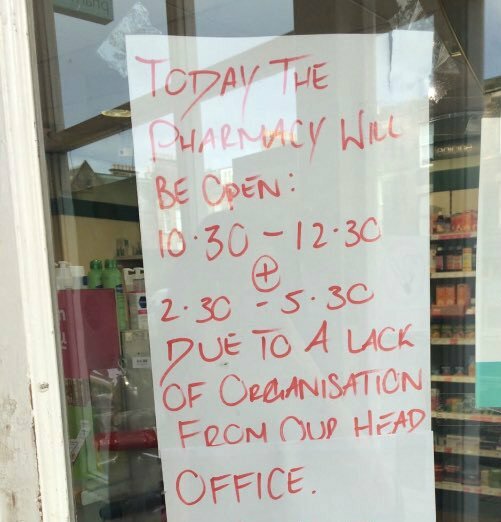 As reported by UK pharmacy magazine Chemist + Druggist, staff at a Lloydspharmacy in Crighton Place, Edinburgh, Scotland, placed a sign in its window last month (February 17), notifying customers that it had closed for parts of the day “due to a lack of organisation from our head office”. The sign also advised customers to call Lloydspharmacy’s head office “if [they] would like to make a complaint”. 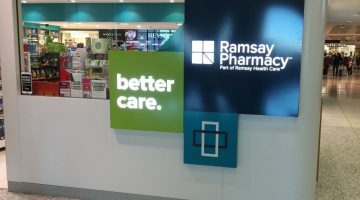 A Lloydspharmacy area manager said the branch “is subject to an internal investigation”, after failing to follow the multiple’s procedures. “When any of our pharmacies are unable to provide pharmaceutical services due to unforeseen staffing circumstances, we have a process whereby our teams seek support through various channels – their line manager, area manager, cluster team and superintendent’s office,” he said.